Some people like mysteries and some don’t. When you’re going through IVF, I think it’s important to know as much as possible about the process — everything from how your body may react to each step to what exactly happens behind the scenes in the IVF lab. What happens after your eggs are retrieved? How are your eggs prepared for fertilization? 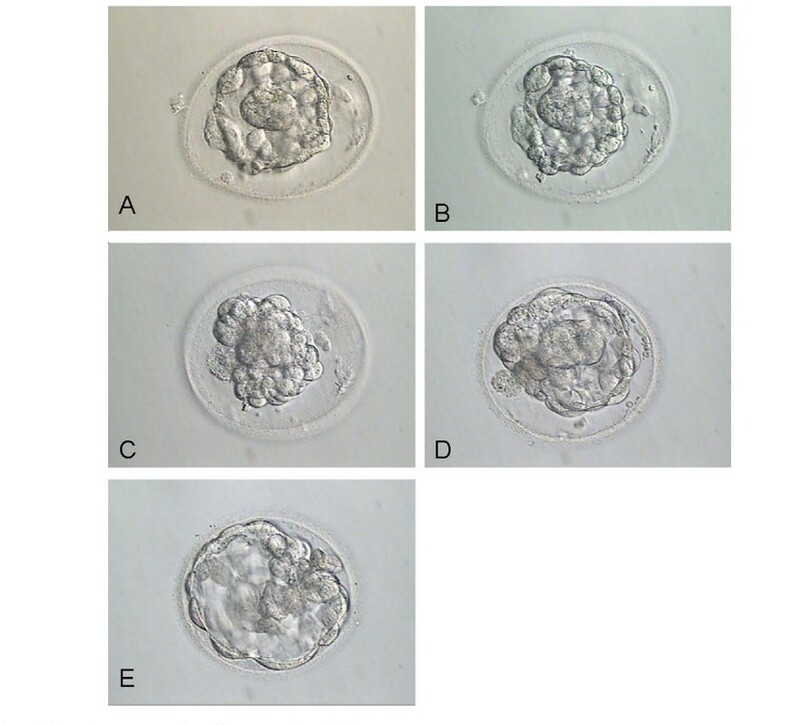 How do embryologists perform assisted hatching? How are your eggs and embryos frozen? I recommend getting as much information as possible about the level of expertise of the embryologists with whom your fertility doctor works. 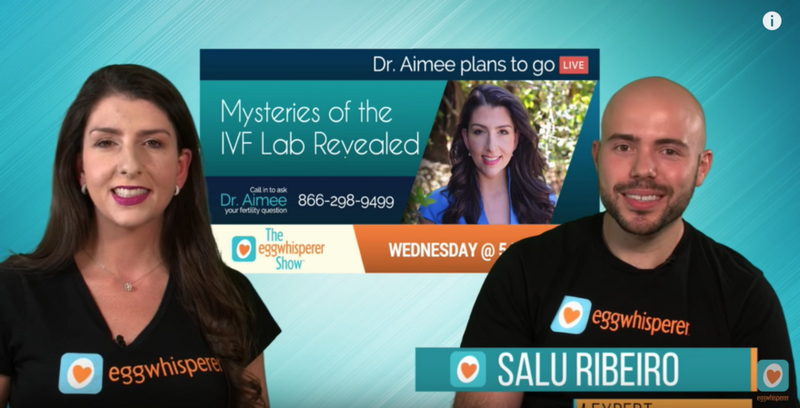 I recently hosted Salu Ribeiro, an embryologist at UCSF on The Egg Whisperer show, in order to demystify what happens behind the scenes. Ribeiro studied for many years at UC Davis and the University of Leeds in the UK to become a board certified scientific expert in making sperm and egg meet in a petri dish, or invitro, the I in IVF. After I retrieve a patient’s eggs, Salu is the person who I hand them off to. He’s their first baby sitter. Not every embryologist is as well-trained as Salu, and I trust him because he has a very steady hand when he handles embryos. I recommend getting as much information as possible about the level of expertise of the embryologists with whom your fertility doctor works. This will give you a lot more confidence in the path to your future baby. EW: What happens first when I hand a patient’s eggs to you? SR: In vitro fertilization is when reproduction happens in a petri dish in the lab. After your fertility doctor retrieves your eggs through a surgical procedure, I start taking care of them immediately. I separate them from the cervical fluid and place them in a culture that starts to feed them. The eggs are then stripped of the cloud of cells that surround them, which takes about one minute per egg. Don’t worry, this doesn’t ever damage the eggs. This allows me to see which eggs are mature. You only inject a mature egg with a sperm cell because that’s when the egg is ready for fertilization. We label the eggs as immature, which is GV and Metaphase 1 (M1) and mature, which is Metaphase 2 (M2). An M2 egg is ready to receive the sperm. While there is some early research on helping to turn immature eggs into mature eggs in the lab, right now your chances of a pregnancy are higher with mature eggs. EW: How do you fertilize the eggs? EW: What happens the day after fertilization? How do you know when the egg is fertilized? If you’re 35 and have ten eggs, more than 80% of them will fertilize. SR: We do something called a Day 1 fert check, where I look for something called 2PN, which is when the DNA from the mom and the DNA from the Dad come together. I can see this through the microscope. It will tell me if the egg is fertilized. If you’re 35 and have ten eggs, more than 80% of them will fertilize. The threshold of most IVF clinics in the US is 70 percent. I just love when I see beautiful embryos developing in the lab. EW: What happens when the embryos are ready to be transferred back into the uterus on day three? SR: We pick the best embryos based on a grading system. We’re looking for a grade 5 or 6 for implantation. We have published studies that show a correlation of embryo quality and high rates of pregnancy. Feel secure in knowing that two embryologists will make sure that your doctor has the right embryo. That’s a question people ask me all the time. Are you sure that you have the right embryo? Two embryologists check the embryos before we thaw them and at the time of the transfer. It has your identification on it at all times, name and ID code, and colors related to that cycle. EW: Thirty minutes before transfer, I offer my patients a valium. The transfer is always at the IVF lab in a room that is right adjacent to it. We always check everyone’s ID and you come with a full bladder. I tell my patients to drink two to three eight ounce glasses of water about three hours before the transfer. You can also do acupuncture about 30 minutes before or 30 minutes afterwards. You come in undressed from the waist down. Then the embryo whisperer comes into the room with the embryos. With a catheter, I place the embryo/s in the uterus really gently under ultrasound guidance. The whole procedure takes around five minutes. EW: What is assisted hatching? SR: We breach the Zona Pellucida, which is the shell around the embryo, with a laser or with an acid solution. We put the embryos into a dish. It will help break the embryo out of its shell so it can better implant in the uterine lining. EW: How do you freeze and thaw the eggs if someone doesn’t want to use them right away? SR: When we freeze eggs, we use a process called vitrification. We use a sucrose based solution to freeze them. We take them up into a straw and then dip them in liquid nitrogen. The reverse process is the thawing. We take them out of the liquid nitrogen, open the straw, dip them into a solution and then slowly reverse the process where the egg or embryo will receive water and start growing and expanding as they thaw. This happens the same day as the embryo transfer. The end goal should look like this. EW: You can come back in 20 years for your eggs or embryos. There’s no such thing as embryo freezer burn. EW: A lot of my patients want to know how their embryos breath since they’re in water? SR: There’s an exchanges of gases that happens inside the media that holds them, which is why it’s important that the media that holds the embryos is strong. The media also has to have a lot of nutrients so the embryos can receive them and grow. In the dish, there is also an overlay of oil on top of the media that prevents temperature change and evaporation because you want to make sure that you always have a perfect PH balance in the embryo culture. EW: There’s been a lot of talk in the news lately about quality control at IVF labs. How do you ensure that the temperature of the incubators is correct, so the frozen embryos, oocytes and sperm stay safe? SR: All labs have systems that monitor the temperature of the incubators. If there are any issues, it will alert us by calling us?—?even at home?—?if something happens in the lab, so we can just run over to the lab. We’re babysitters 24 hours a day. I have an alert set up on my phone if anything goes wrong. We also do a daily visual check to make sure all the temperatures are correct. EW: I hope we’ve given you a behind-the-scenes view that will help you feel more confident and ready for your egg freezing or IVF experience. It will also help you if you follow the Egg Whisperer DIET, which stands for Diagnosis, IVF, Endometrial Receptivity and Transfer (You can read more about it here),— and it will better ensure you a healthy baby and pregnancy. If you’re not sure you’re taking the right steps, I’m always here for a consultation.